E. Keith Kirkham currently serves as Minister-Counselor for Commercial Affairs at the U.S. Embassy in Tokyo. As a Foreign Service Officer with the U.S. Department of Commerce’s Commercial Service, he is tasked with the mission to help American companies succeed in overseas markets through providing strategic advice and practical assistance. Previously, Mr. Kirkham was Minister Counselor for Commercial Affairs at the U.S. Embassy in Moscow, a position he held starting in 2013. In addition to managing his agency’s operations in Russia, he had regional management responsibility for Kazakhstan and Ukraine. Mr. Kirkham’s career has been marked by dramatic increases in the commercial results produced for U.S. companies, and his prior assignments include Bucharest, Romania, Sydney, Australia, and Tokyo, Japan. 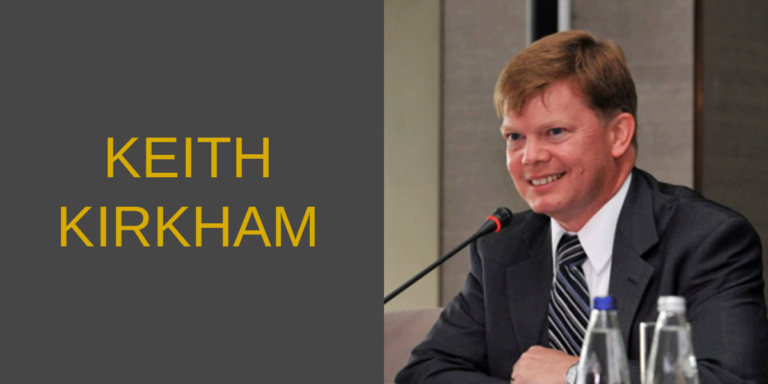 Before joining the federal government, Mr. Kirkham worked for a private sector management consulting firm specializing in high-tech manufacturing clients, and as Director of International Commerce for the state government of Maine. Kirkham holds a Master of Public Administration from Michigan State University, and a Bachelor of Arts in Political Science and International Relations from Indiana University.